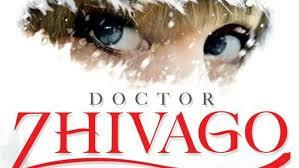 Congrats Kira for booking DOCTOR ZHIVAGO on Broadway! Super thrilled for my friend and student Kira Guloien for booking a dream show on Broadway. She will appear in Doctor Zhivago this broadway season. We coached her audition material for all of her auditions….and she nailed it….and booked it! Congrats! Can’t wait to see you in the show. PS. Another old student of mine….and good friend Ericka Hunter/Yang is also in the same show!